Currently, Mr. Chu is at the final dissertation stage for a Doctor of Musical Arts degree in contemporary music (conducting track) from Bowling Green State University in northwest Ohio. From 2008 to 2012 he served as doctoral assistant conductor for the school orchestra, Bowling Green Philharmonia, as a student of Emily Freeman Brown. This coming fall, Mr. Chu has been appointed Lecturer in Choral and Orchestral Music at Union College in Schenectady, New York, serving as music director of the Union College Community Orchestra and Union College Chorale. In recent years, Mr. Chu has attracted particular attention for his opera work, appearing with small companies that specialize in contemporary productions. From 2013 to 2015 he was appointed assistant conductor with Gotham Chamber Opera, formerly the nation’s leading company for the chamber opera repertoire. Other companies for which he has music directed or assisted in world premieres include American Opera Projects, Brooklyn Repertory Opera, Opera on Tap, Prototype Festival from Beth Morrison Productions, and The Shakespeare Concerts (Boston). In the last three seasons, Mr. Chu has debuted as guest music director for several fast-rising ensembles. In August 2016, Mr. Chu debuted as guest conductor with Victory Hall Opera in Charlottesville, Virginia, a new company established by former Met and City Opera singers. He conducted a chamber version of Strauss’ Der Rosenkavalier, updated to the present day and reduced to the five principals. This past May, Mr. Chu music directed for the contemporary ensemble Rhymes With Opera in a new one-act for their 10th anniversary based on the Grimm fairy tale Rumpelstiltskin. Then in June, he was music director for the Gilbert & Sullivan Light Opera Company of Long Island’s spring production of Patience. In the New York orchestral scene, Mr. Chu has guest conducted a wide range of community and academic ensembles, including the Hunter College Symphony, Queer Urban Orchestra, Gemini Youth Orchestra, Centre Symphony and Queens Symphony. He has been privileged to study in master classes with distinguished maestros like Kurt Masur, Jorma Panula, Gustav Meier, Robert Spano, Leonard Slatkin and Marin Alsop. In 2014 he was one of 12 young conductors from around the nation selected to conduct the Richmond Symphony in a workshop by the Conductors Guild, the national conductors’ association. Mr. Chu also has a long background in choral music, having served ten years as the choral director at Eugene Lang College, the liberal arts division of The New School. Currently he directs the North River Sing Community Chorus, a Jersey City mixed choir devoted to the Great American Songbook. In Nassau County, he also leads the Tzu Chi Foundation Chorus, a Chinese American choir sponsored by the Buddhist service and disaster relief organization. The programming combines Chinese folk traditions and western music with an emphasis on promoting east-west cultural exchange. 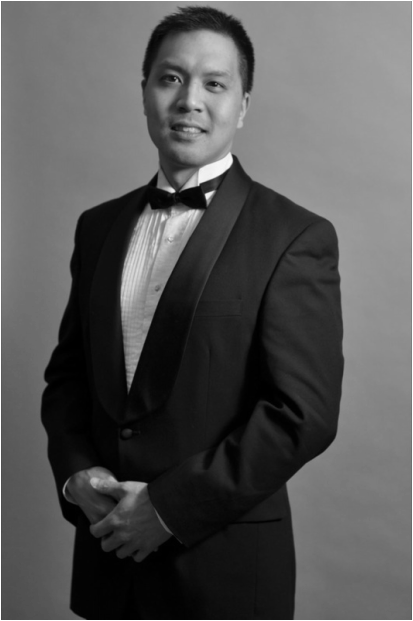 Mr. Chu studied piano from age 8 and appeared in high school as concerto soloist with the Allentown Symphony, the Lebanon Valley College Orchestra, and the Pennsylvania Sinfonia Orchestra. He earned a bachelor of science in molecular biology from Yale University before embarking on a music career.